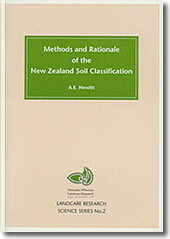 A natural extension to Version 3, explaining the methods used to develop the New Zealand Soil Classification, it includes discussion of the rational for class recognition and definition. Aiming to provide a concise account useful for soil taxonomists, users and students of soil classification. This report is concerned with the top three levels of the hierarchy: order; group; and subgroup. 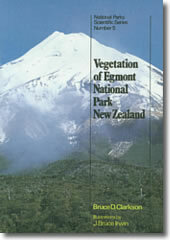 Derived from a reconnaissance vegetation survey of the park, which formed the major part of a 1981 thesis. 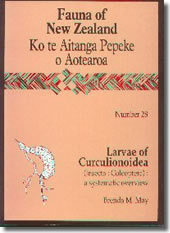 Introductory sections contain brief descriptions of the physical environment and the effects of introduced browsing mammals and human activities. The main previous contributions to the botanical knowledge of the park are summarised. An outline of the vegetation pattern and substrate classes follows. These are then described in detail, with photographic illustration of most of them. Features of the flora are discussed and the final section attempts to place the park in a regional context and gives some suggestions for future management. 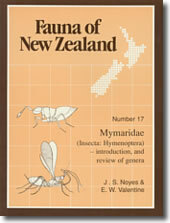 A full colour, 1:40 000 scale map NZMS 169, is included in the back of the book. 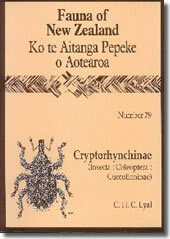 The Fauna of New Zealand series has been widely acclaimed for its role in presenting New Zealand's unique invertebrate fauna to the world.